 Welcome to the Bryce Hansen Team, your source for Comox Valley real estate information! Whether you're buying or selling your home, we are committed to providing you with an exceptional real estate experience. We are dedicated to creating a comfortable and rewarding client experience through personalized service and ongoing support. We want to be your choice for all your real estate needs, and strive to achieve long-lasting client relationships. The Comox Valley is located on the east coast of Vancouver Island, B.C., offering stunning natural beauty and a vibrant cultural community. Residents enjoy a varied landscape of mountains, ocean and lush forested areas, providing opportunities for a multitude of outdoor activities. Known for its small-town, laid-back atmosphere, the Comox Valley is also recognized for hosting more than fifty annual arts and music festivals. Whether you are looking for a close-knit community to raise a family, or a rural setting away from the city, the Comox Valley offers homes and communities to fit all lifestyles. As qualified real estate professionals, we understand what it takes to buy or sell homes in today’s economy. Every real estate transaction can have its own set of unique challenges, whether you are a first time home buyer or an experienced investor. We have taken the time to provide you with a variety of resources and tools to help make your real estate experience as easy as possible. Our comprehensive listings search provides you with the most up-to-date real estate listings in the Comox Valley and surrounding areas. Search by map, or view our featured listings to begin exploring communities and homes immediately. If you are interested in buying a home in the Comox Valley, visit our buyer's page for helpful resources such as tips for first-time home buyers and a mortgage calculator. On our seller's page you can learn about our marketing plan and receive a free home evaluation. For your next move in the Comox Valley, don't think twice, call Bryce! Browse Comox Valley real estate listings to begin your home search, or contact us with any questions you might have about the market or our services.